The Delaware County District Library will be offering free eclipse-viewing glasses to patrons with a library card. Beginning Monday, Aug. 7, patrons are invited to stop by a local branch and take home their eclipse glasses. A partial solar eclipse is crossing the Delaware skies on Monday, Aug. 21. This exciting celestial event, however, requires safety precautions to protect the eyes of any eclipse viewer. The Delaware County District Library will be offering free eclipse-viewing glasses to patrons with a library card. 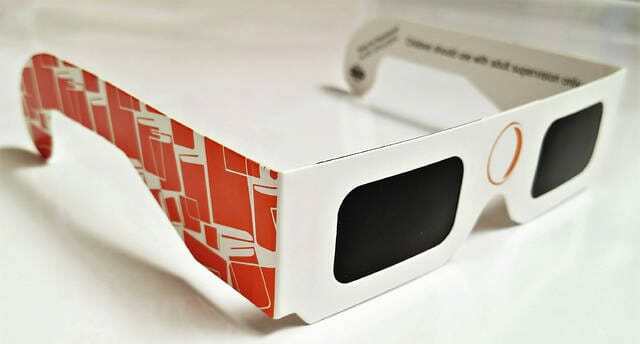 The DCDL glasses are manufactured by American Paper Optics, one of the five manufacturers trusted by NASA. They are certified as safe for the eyes to look directly at the sun. Beginning Monday, Aug. 7, patrons are invited to stop by a local branch and either show their DCDL card or sign up for a library card, then take home their free pair of eclipse glasses. Supply is limited and the glasses will be available on a first-come, first-served basis while supplies last. Library branches are also getting in the spirit and will have astronomy and space materials out on display for individuals who are curious about the eclipse and want to learn more. For more information about programs and services visit our web site at www.delawarelibrary.org or contact Nicole Fowles, communications manager, at nfowles@delawarelibrary.org or 740-362-3861.